Why create an inclusive playground? 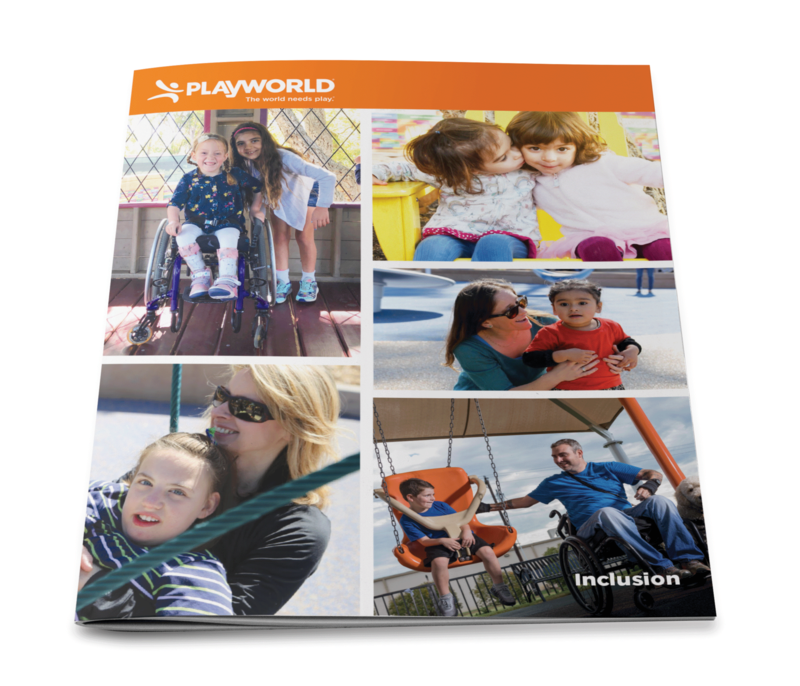 Playworld understands that Inclusive Play stresses the importance of including all children, children with disabilities, as well as typically developing children and the adults in their lives. We create playspaces where diversity is valued. Inclusion enables all children of all abilities and ages to play together. 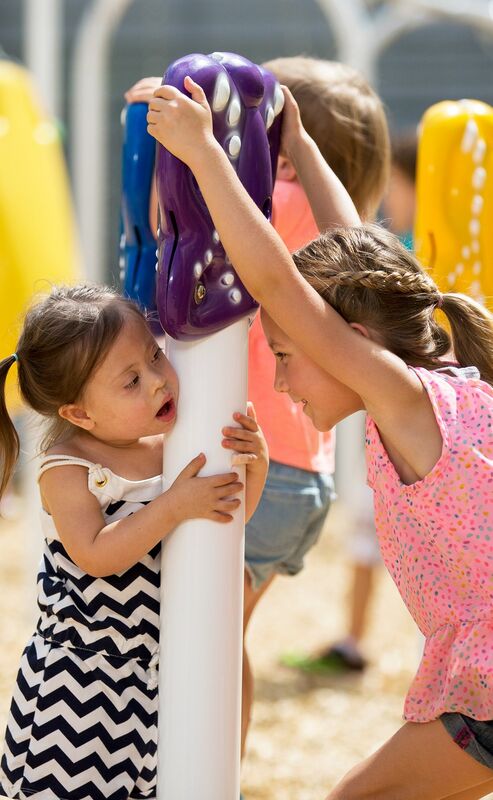 All of our playspaces are created to provide high quality play opportunities regardless of their needs and abilities. "Children won't always be able to participate in all available activities, an inclusive playground will offer all children a real choice in play activities" Barnado, policy and research organization in UK. Learn about products, spaces and the foundations of designing for inclusion. 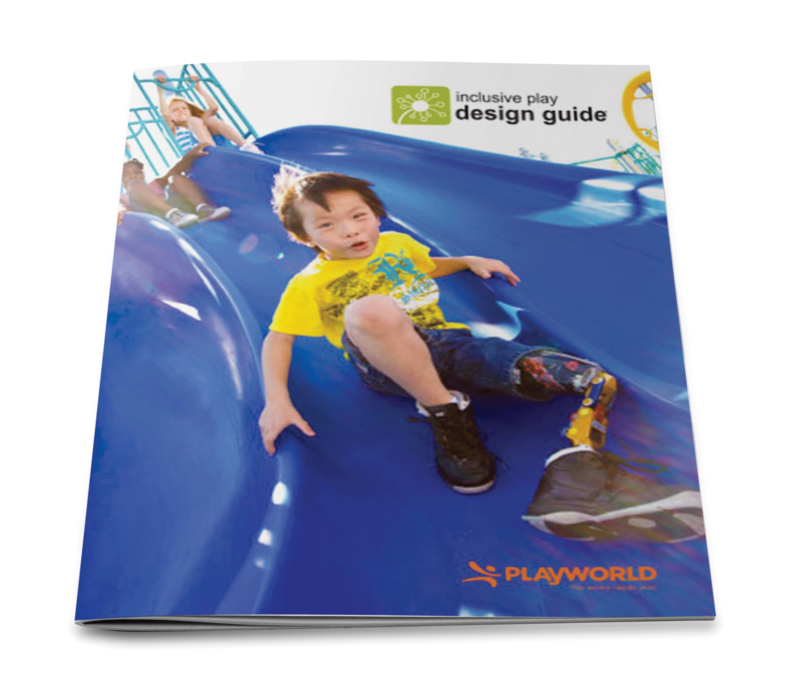 Our guide features research-inspired playground solutions create play spaces where everyone feels welcome and has fun. Learn more about the variety of equipment offering different levels of challenge and sensory experiences for all abilities. Here is a one-sheet summary of our 8 Keys to Inclusion to use as a guide when designing your playground. Want to become an Playworld Inclusive Play Designer? Our 6 on-line training modules cover all aspects of inclusive design in detail, start here. Want to train a group? We have 45 minutes lunch and learn sessions on Inclusive Design. We bring the training to you and we even give you CEU credits, find them here. Have a question? Send an email to our Inclusive Play desk and we will get you an answer within 2 business days. 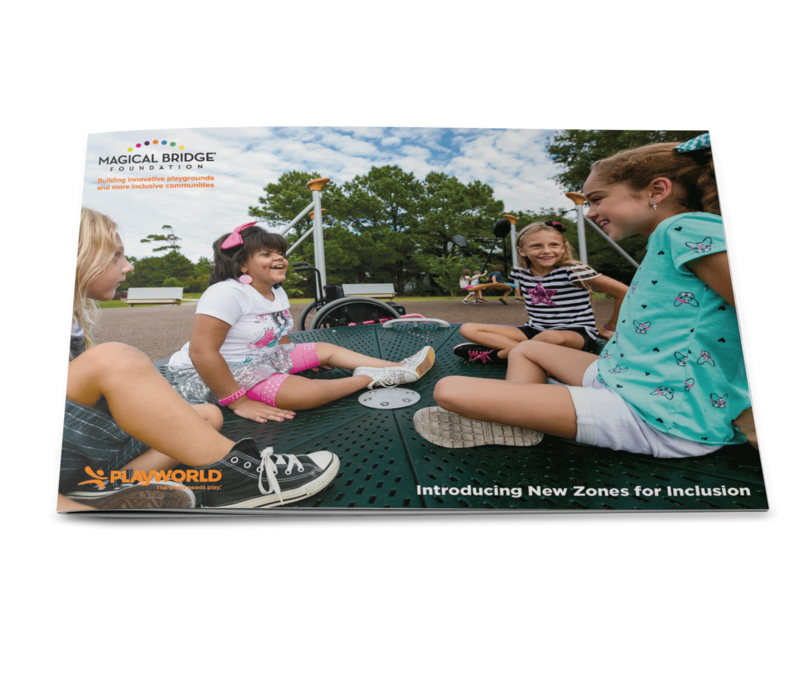 We certified our reps in Inclusive Play, find one in your area today. Once your playground is laid out, ask for 3rd party certification letter. They are great for fundraising. Our distributors go through extensive training to be certified as an Inclusive Play Specialist. They can be a resource for you.